Manufacturers understand the importance of selecting the right materials for a particular application. When working with metal, there have been so many advances in stainless steel and aluminum that even minute differences between alloys, or even between various shapes and extrusions, can lead to widely varying results when incorporated into modern day production processes. This is especially true when working with stainless steel alloys such as 304. SAE 304 stainless steel, otherwise referred to as A2 stainless steel or 18/8 stainless steel, is the most widely used stainless steel alloy on the market. The prevalent alloying agents in 304 steel are chromium (at around 18%) and nickel (around 8%). As an austenite steel, 304 is non-magnetic in nature and its eutectoid point occurs at 727 °C (1,341 °F). 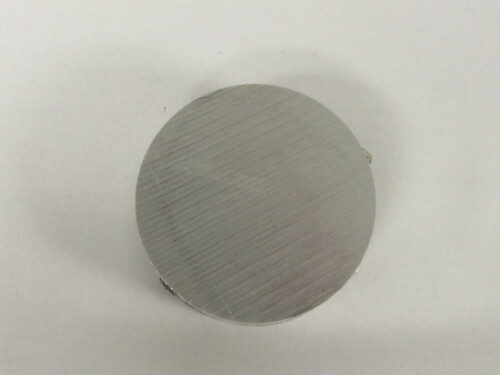 304 steel does not offer much electrical or thermal conductivity but does have a higher corrosion resistance than regular stainless steel and is recognized for its formability. This stainless steel alloy was originally developed by Firth Brown Steels in 1924 and was first sold under the trademark Staybrite 18/8. What are the Advantages of 304 Stainless Steel? 304 alloy is prized for its versatility, the reason why it is so popular for manufacturing applications. First of all, it offers high corrosion resistance, even to intergranular corrosion, a kind of corrosion that is often the result of stress relieving or welding. In addition, a carbon maximum of only .03 percent means that it is ideal for welding operations under 800 degrees F. While heat treatment is not an option, cold working can be performed to make the material both harder and stronger. The chromium content of 304 flat bar increases its corrosion resistance in oxidizing environments. 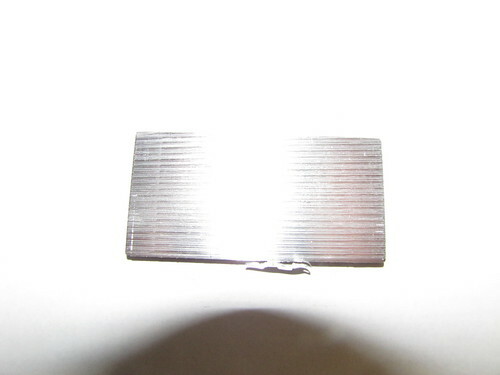 At the same time, the nickel content means that it is resistant to organic acids. Compared with other stainless steel alloys, 304 is an optimal choice for dealing with corrosive environments and within heat-affected zones. What’s the Difference Between True Bar and Sheared Bar? One of the major choices that manufacturers need to make when purchasing 304 stainless steel bar is whether they require true bar or sheared bar. It’s necessary to have a good understanding of the differences between them before making such a selection. A flat bar is considered to be true when it is produced to a specific size and has a nearly identical finish on all four sides. 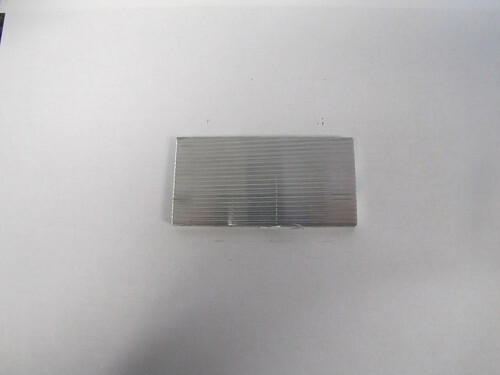 With square corners, the tolerances are within a few thousandths of an inch to the listed dimensions. To produce true flat bar, a process known as Hot Rolled Annealed and Pickled (HRAP) is generally employed, which results in a gray finish. Pickling is a method in which the metal is placed in an acid solution in order to get rid of any high-temperature oxides that generally are seen after annealing or welding. 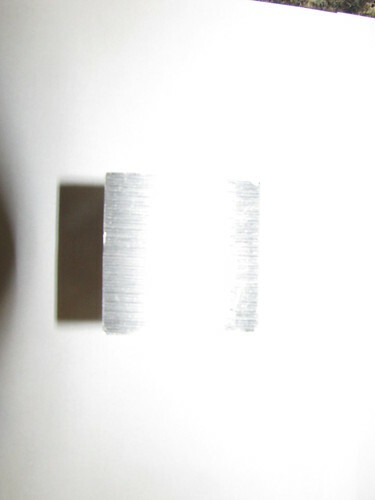 By eliminating the oxidation, the natural corrosion resistance of the steel is restored. Pickling methods include immersing the steel in an acid solution bath, spraying it on the surface, or even by applying the solution with a paintbrush. In contrast, the process of producing sheared bar involves cutting the bar from stainless steel plate. Because it has been edged, the resulting bar is not as dimensionally true as true flat bar, but it does undergo flattening and straightening that can approximate true bar. 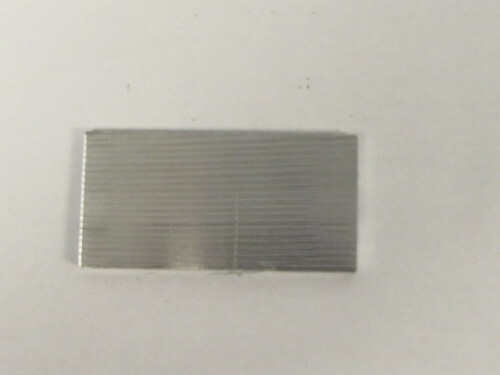 Because of its greater cost, only limited quantities of true flat bar tend to be produced, such as for demanding applications in the architecture and aerospace industries, unless there is a large enough quantity required to justify it. 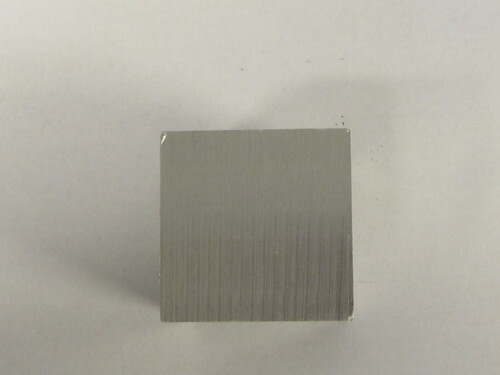 The main difference between true flat bar and flat bar that was cut from plate and then sheared is the dimensional tolerance. True flat bar has width and thickness tolerances equivalent to those for round bar. When the bar is cut from plate, the guidelines for width tolerance are not as strict and depend more on the cutting method. The generally permitted variation range is 1/8”. 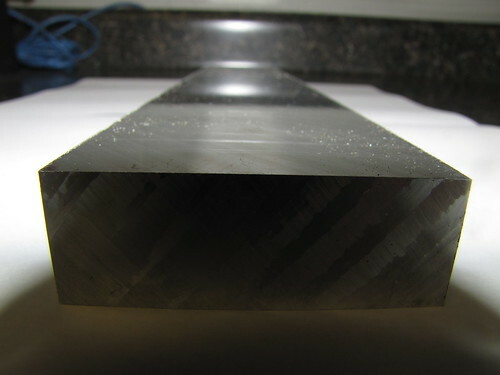 The thickness of bar cut from plate is determined by the thickness of the plate. When it comes to the edges and corners, as previously mentioned, it will be nearly identical on all four sides in true bar. The surface finish on the sides will vary on cut bar compared to the bottom and top, which will be the original plate surface. The cutting method will determine whether there is any twist or camber. What are Some Common Applications for 304 Stainless Steel? 304 stainless steel is widely found in a variety of household applications. This includes kitchen benches and troughs, the common coils in vaporizers, screws, automobiles, and water filtration devices. Industrial applications include machinery parts, food processing equipment, aerospace equipment, architectural uses such as exterior accents for water and fire features, the dyeing industry, chemical containers, and heat exchangers. In marine environments, it is common to find 304 used for nuts, bolts, screws, and other types of fasteners. Not many people know that various acids can also be found in food, such as fruit, meat, milk, and vegetables. That’s why 304 is often used in sinks, tabletops, coffee pots, stoves, refrigerators, and liquid dispensers. Many kitchen utensils, such as pots, pans, and flatware, also benefit from 304’s high corrosion resistance. 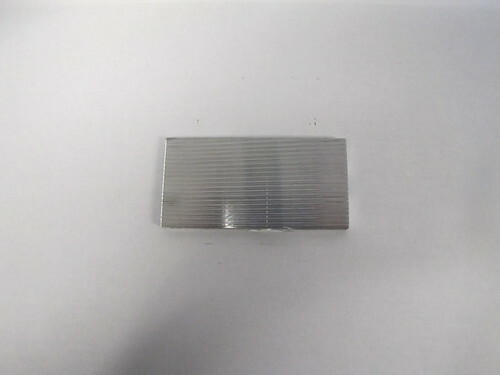 Today, most stainless steel flat bar is sold sheared and gauered, rather than as true bar. This is because of the significant price difference between the two. For certain applications, such as architecture and aerospace, true bar is necessary because they require consistently polished surfaces on all four sides. But thanks to the latest advancements in polishing technology, sheared bar is nearly as good as true bar for most manufacturing applications. Ultimately, you’ll have to make a determination of what your specific needs are. Clinton Aluminum is the Midwest’s leading supplier of aluminum and stainless steel plate products. We make it our top priority to work with our customers as a partner, meaning we will help you based on your specific product needs, even if we have to recommend a product or alloy we don’t carry. Contact a member of our knowledgeable and friendly staff today!